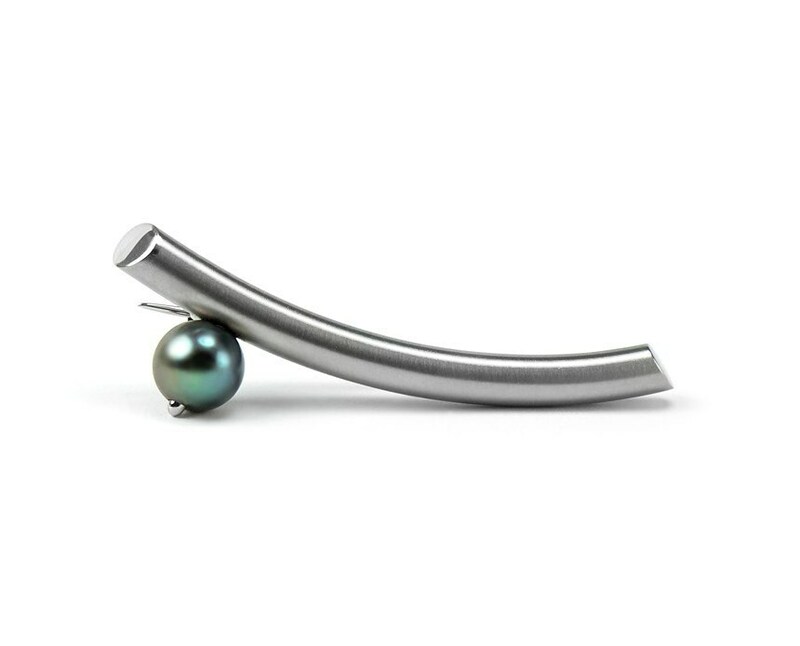 Minimalist and Modern Stainless Steel Brooch with Black Pearl. Brushed finish with high polished accents. 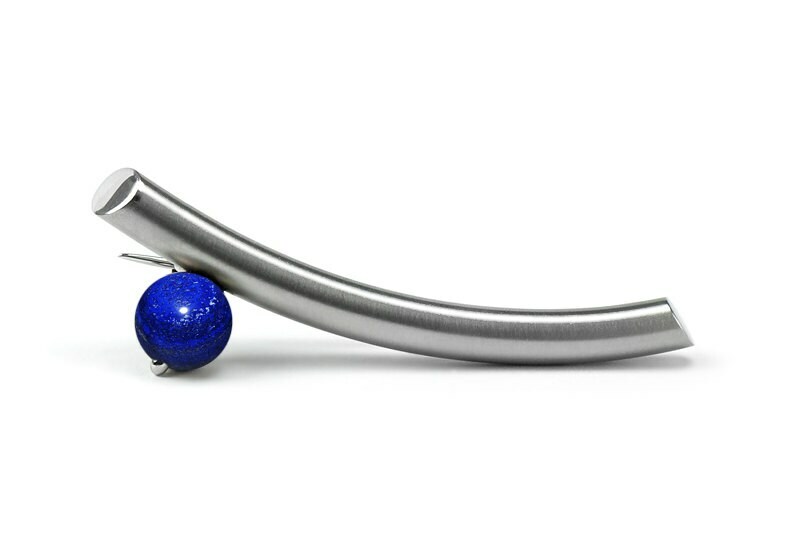 Same price available also with Lapis Lazuli, Tiger Eye, Turquoise, Obsidian.